There is no doubt that the threat facing organizations today is enormous. At the same time, many organizations believe that improving security technology is the answer to solving the complex security challenges of today. Security technology has evolved from static firewalls and anti-virus products to full suites of tools that are building up, layering on and overlapping security measures that are very effective in protecting against the modern threat. Unfortunately, without a solid process backing up the implementation of technology, organizations will still find themselves susceptible to emerging threats. 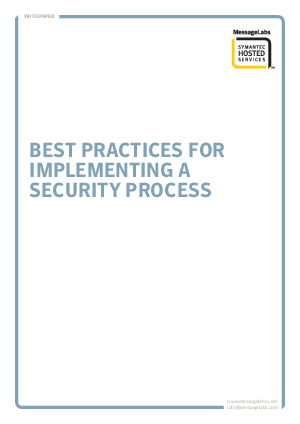 This paper will look at aligning security processes, the human element of security, with the latest security technologies – creating a secure barrier against today’s most insidious threats.